According to a recent newspaper listing, New York City is among the top cities in the world to party in. Although the average New Yorker undoubtedly enjoys hosting the occasional shindig, it is important to ensure that all members of the family, including the pets, are accommodated as far as comfort and safety are concerned. While some dogs are very well-socialized and will not be fazed by a crowd of strangers and loud music, others may become extremely anxious by even the slightest disturbance in their home. By understanding the dangers a party can pose for your dog and knowing how to keep him safe, you can easily ensure that your beloved pooch is not adversely affected by your gathering in any way. Having a party is always great fun. Not only can you dress up and let your hair down, but you can also momentarily escape from the stressors of everyday life. As enjoyable as parties are for us humans though, they often leave our canine companions somewhat traumatized. A party does not have to be raucous in order for it to be both physically and psychologically traumatizing for a dog. People love throwing themed parties complete with masks and elaborate decorations. While this may look enticing to a human, it can be somewhat haunting to a dog, especially if he can’t recognize his owners. Some of the most common physical dangers include doors being left open and the dog escaping into the street, being stepped on, and eating or drinking ‘human food’ that can, sadly, prove to be fatal to a pup. Psychological dangers often present themselves in the form of loud music and rowdy behavior by the guests, such as loud talking, shouting, clapping and stamping feet. It is pivotal to ensure that your dog has a safe area to lounge in while you are busy partying up a storm with your guests. Set up a safe space in a quiet room, and don’t forget to kit it out with your pooch’s favorite bed, toys, food and, of course, fresh water. Ideally, you should allow your dog to spend time outside just before the party to relieve itself, although you might want to put down some puppy pads or newspaper, just in case. A plug-pheromone dispenser or white noise machine can help further to keep your dog calm and relaxed while the party is in full swing. If you do not feel comfortable simply closing your dog in a quiet room, you may want to enlist the services of a dog sitter. Whether you get a friend, family member, or professional pet sitter to help you out is entirely up to you. As long as you choose someone responsible that will have your dogs’ best interests at heart, your best friend is bound to be happy and safe until the party is over. If you think that your dog may still become traumatized by the party, consider booking him into a kennel or doggy hotel for the night, where he is bound to have a little party of his own far away from the rowdy crowd at home. Having a party can be a fun way to mingle with family and friends in a relaxed setting. 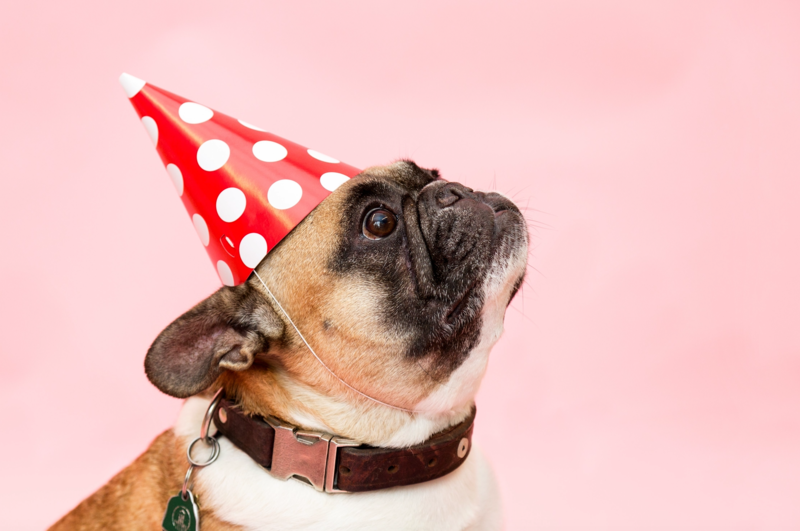 By ensuring that your pets are safe during your party, you not only demonstrate that you are a responsible dog owner, but also that you do not value your own pleasure over the security of a loyal and loving animal. Send me the new client promotion! © 2019 New York Dog Nanny.